Individual Retirement Accounts (IRAs) were established by the Employee Retirement Security Act (ERISA) of 1974. IRAs allow most Americans, subject to income limitations, to invest up to a maximum of $4,000 per year ($5,000 if you’re age 50 or older) in a tax-sheltered account. Typically, investors buy stocks, bonds, and mutual funds with their IRA money, but can precious metals also be held in an IRA? Yes. There are two major types of IRAs: Traditional IRAs, which came into being via ERISA in 1974; and Roth IRAs, which was established by a 1988 tax law chiefly sponsored by Senator William Roth of Delaware. Traditional IRAs allow individuals to invest up to $4,000 of pre-tax money into their accounts each year. This means that for every $1 contributed to your IRA, you receive a $1 tax deduction. The money in your IRA is allowed to compound tax free, but then when you begin withdrawing it upon retirement, your withdrawals are taxed as regular income. Roth IRAs, on the other hand, use after-tax money. This means you do not get a tax deduction for your contributions. However, the good news about Roths is they also compound tax free, but when you begin making withdrawals the withdrawals are 100% tax free as well. Since you didn’t get a tax deduction when you contributed, you already paid taxes on the money — luckily, the government has decided to “generously” not tax you a second time. Because IRAs were written into law by government, the government unfortunately has a say about what you can put into your IRA. Stocks, bonds, mutual funds, cash, and even real estate (with some exceptions) are all fair game — subject to the rules imposed by your IRA custodian (i.e. Ameritrade or Edward Jones, etc.) But what about gold and silver? Once you’re set up to invest in real precious metals through your IRA, you might be confused about what you can actually buy. There are a few rules regarding the actual metal that you can invest in, so make sure you check carefully before you buy. Your broker can always help, but there’s a pretty straightforward list. Generic bars and rounds must be hallmarked by NYMEX- or COMEX-approved refiners and must have a purity of at least .995+ for gold, .999+ for silver, and .9995+ for platinum and palladium. 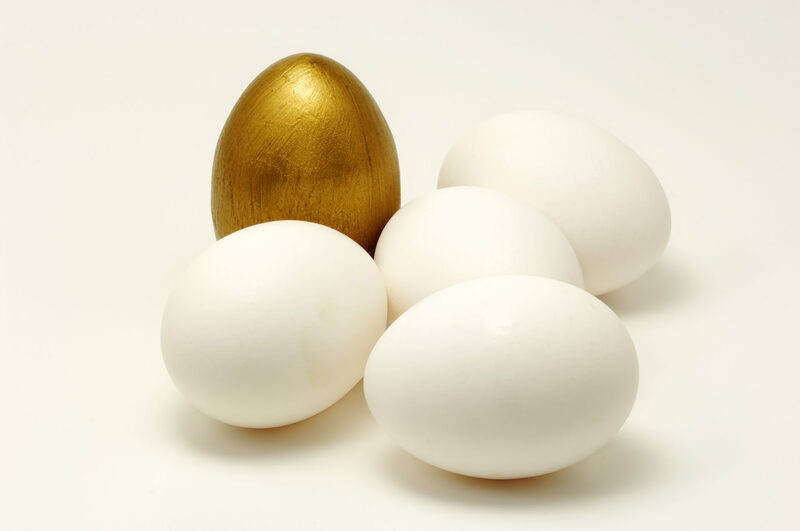 For the first twenty-three years following ERISA, Gold Eagles and Silver Eagles were the only eligible gold and silver investments you could put into an IRA. This was especially negative for fans of silver, since Silver Eagles typically carry an $1.80 per-ounce premium over the price of silver bullion! But fortunately, in 1997, Congress passed a law expanding the eligible precious-metal assets investors could put into their IRAs. Chief among these newly allowed assets was bullion. Since the premium on Eagle coins was so much greater for silver than for gold, this allowance has been a real boon for silver investors. Coins other than Eagles were also admitted into IRAs in 1997, but they must be at least 99.5% pure and serve as legal tender in order to qualify as IRA investments. While this greatly expanded the number of gold-coin offerings. For gold, you can buy American Eagle coins (these are the only coins of less than 24 karat gold that are acceptable for addition to an IRA portfolio), Australian Kangaroo/Nugget coins, Austrian Philharmonics, Canadian Maple Leaf coins, Credit Suisse Gold, PAMP Suisse Gold, and U.S. Buffalo Gold (uncirculated). If you’re wondering why investor favorite, the South African Krugerrand, isn’t on the list, it’s because it’s a 22 karat coin, and your investment coins must be 24 karat to qualify (except the aforementioned Gold Eagle exception, of course). As far as silver, you can buy Australian Kookaburra coins, American Eagle coins, Austrian Philharmonics, Canadian Maple Leaf coins, and Mexican Libertad coins. If platinum strikes your fancy, you can fill your IRA with American Eagle coins, Australian Koala coins, Canadian Maple Leaf coins, or Isle of Man Noble coins. So as you can see, it’s definitely possible to have a diverse collection of precious metals in your IRA. Some coins that are not eligible for IRAs include Kurgerrands (only 91.67% pure) and old U.S. gold coins (90%), as well as pre-1965 junk silver coins (also 90% pure). Coins come with their own speculative value, and since silver coins are currently trading at a substantial premium to silver bars, most investment analysts advise clients to buy bullion if they want to hold silver in their IRAs. Most investment brokers, including virtually all of the online discount brokers, will serve as your IRA custodian, and they will usually do so at no added expense. However, most of these mainstream investment houses will not allow you to have bullion in your account. American Church Trust (http://churchtrust.com) is one custodian that will allow you to invest in precious metals. It’s important to note here that you can have more than one IRA custodian. If you so desired, you could have one IRA through Ameritrade or Zecco.com in which you invested in stocks, another with T-Rowe Price in which you purchased mutual funds, and a third with American Church (or some other precious-metal-allowing custodian) in which you bought bars of silver. The only rule is you may not contribute more than $4,000 in a single year to all of your combined accounts, and this limit is the sum of both your Traditional IRA and Roth IRA, if you choose to use both. It’s also important to note that you cannot store your IRA bullion yourself — it must be stored by an IRS-approved depository. In fact, even American Church does not hold its clients’ gold or silver; HSBC does it for them. Finally, it’s important that gold and silver investors know that they cannot put bullion they already own into their IRAs. Blame the IRS for this seemingly arbitrary rule! Alternatively, you could simply invest in gold- or silver-mining stocks. This, of course, is far from a perfect corollary to the price of bullion, and carries with it its own unique advantages and disadvantages. However, if your primary concern is to have a hedge against inflation and/or economic calamity, bullion is a much better option. However, you probably already realize that it’s preferable to have the actual metal, because its intrinsic value is always there. ETFs, like stocks, are only pieces of paper. The one time you might find it more beneficial to own shares of an ETF in your IRA is if you plan to do a lot of quick, day-trade-type maneuvering with your money and you need the liquidity that ETFs can provide. If this sounds like your situation, just make sure that you select an ETF that is actually backed by the metals it claims to buy. For gold, SPDR Gold Shares (Ticker: GLD) and ETFS Asian Gold Trust (Ticker: AGOL), are both pretty highly rated, as are iShares Silver Trust (Ticker: SLV), and ETFS Physical Silver Shares (Ticker: SIVR) for silver. But there’s always the potential for disconnect between the ETFs and the assets with which they’re backed. The truest and most reliable hedge, no matter how sophisticated new financial instruments become, has always been and likely always will be real precious metals. Gold investors have been able to benefit from putting Gold Eagles into their IRAs for the past thirty-three years, and for the past decade, silverbugs have been able to join them. A recent study by Ibbotson Associates demonstrated the benefits of putting a portion of your assets into precious metals, so investors would certainly be wise to set aside a slice of their IRAs for gold and silver. If history is a reliable guide, doing so will increase your returns while minimizing your risk.